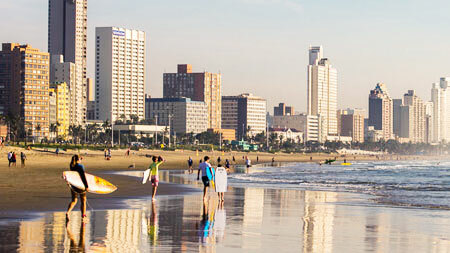 That’s the word from Andrew Schaefer, MD of national property management company Trafalgar, who says an increasing number of landlords in Durban are now converting their rental apartments to provide separate rooms-to-let with shared kitchens, bathrooms and common rooms. He says tenants like this generally cannot afford two and three-bedroom apartments in the CBD at rentals ranging from R4500 to around R8500, so what they have tended to do is rent rooms from existing tenants in such apartments. This has frequently given rise to uncontrolled sub-letting, overcrowding and all the accompanying social problems. “Now, however, properly divided apartments are providing benefits for all. The property owners are able to prevent illegal occupation of their premises by unauthorised sub-tenants, while the tenants are protected against exploitation by slumlords. Schaefer says this type of initiative could be viewed as a blueprint for residential property owners in other inner-city areas and CBDs where there has a been a spike in apartment vacancy levels in recent years corresponding to declining affordability levels among those who wish to live there. He notes that a pilot project by Trafalgar has already proved the demand for rooms-to-let in Johannesburg as well, and that the group is happy to advise property owners and developers who would like to convert their apartments.